YOU RECEIVE A HAIR NET AND GLOVES, THEN ARE ASSIGNED TO ONE OF THE FIVE LONG TABLES SET UP IN THE OPEN ROOM. THE ROOM IS BUSTLING WITH ACTIVITY—PEOPLE SCOOPING FOOD, STICKING LABELS, SEALING BAGS, AND PACKING BOXES. 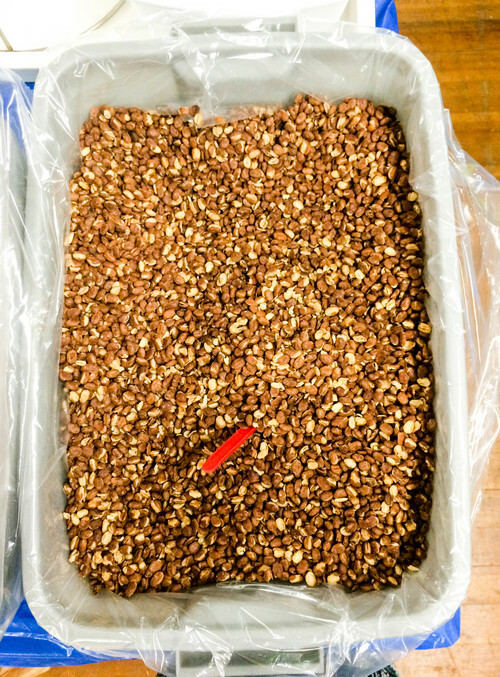 You’re given the task of scooping a cup of rice into the little plastic bags making their way down the assembly line. 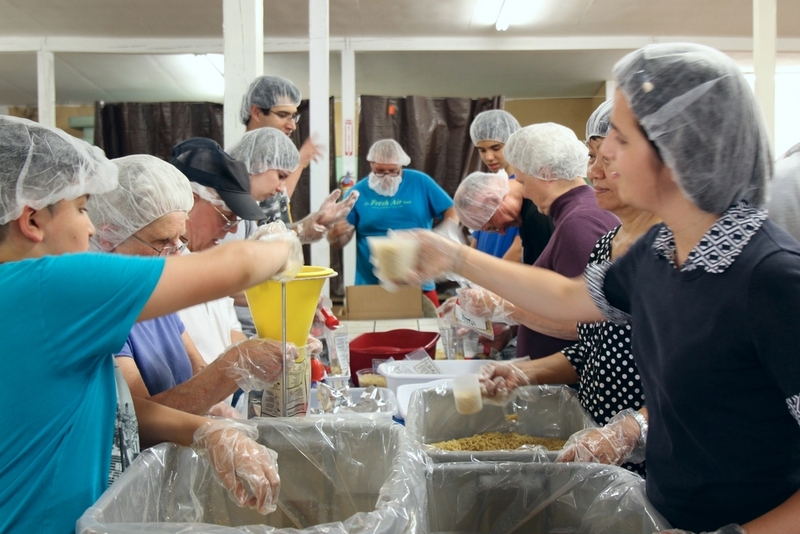 Before you get it, dehydrated vegetables, a vitamin packet, soy protein, and beans have been scooped into each bag by other church members helping along the line. 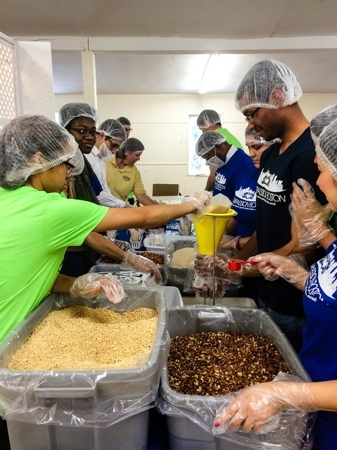 By the time you finish, you and those around you will have packed 45 boxes of those bags, containing 10,000 meals to be distributed to local shelters, soup kitchens, and food pantries. When we think of hunger, Montoya reflected, “Many of us tend to think of world hunger. The reality is, though, that we don’t have to go far to meet those not knowing where their next meal will come from. Hunger is right here, staring right at us—in our homes and our neighbors’ homes. 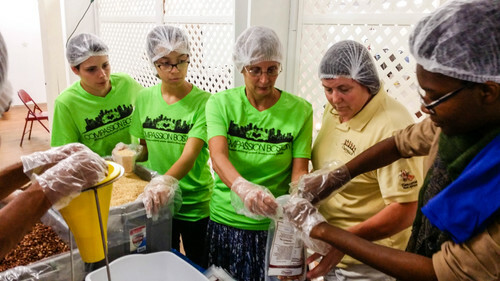 In this year alone, Outreach has made more than 3 million meals, and we are now a part of this figure. 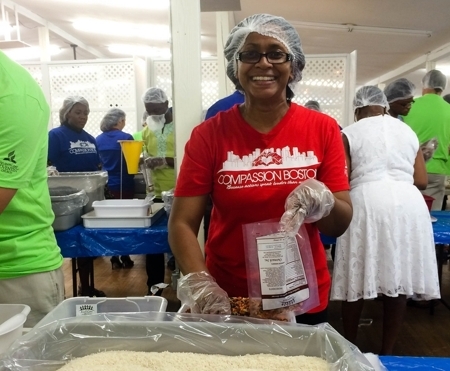 All of our volunteers personally put food on the table for Boston families—10,000 meals, to be exact. There is no better feeling than to serve how Jesus would have us serve. When people receive these meals, I hope they feel Jesus’ love supplying for their need.